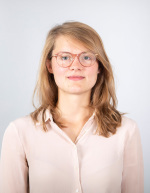 Clara Welteke joined the Gender Studies group in April 2018 as a postdoctoral researcher. Clara was a PhD student at the DIW Graduate Center, the public economics department of the DIW, and the FU Berlin from 2013 to 2017. She holds a Bachelor’s degree in Philosophy & Economics from the University of Bayreuth and a Master’s degree in Econometrics and Mathematical Economics from the University of Amsterdam.